The Florida Native Plant Society and the Sarasota Bay Estuary Program will hold their 12th Annual Native Plant Sale on Saturday, October 12th at Sweetbay Nursery, located at 10824 Erie Road in Parrish. Plants to be included in the sale include a large selection of native trees, shrubs, grasses and blooming wildflowers for use in any garden. There will also be Flori-mulch for sale, this is made from the exotic, invasive maleleuca tree and is an excellent garden mulch alternative to non-sustainable cypress. New this year – members get 20% off! If you join the Florida Native Plant Society at the event, you will receive 20% off your entire purchase. The sale is from 9:00 a.m. to 2:00 p.m. and is open to the public. Free parking is available. 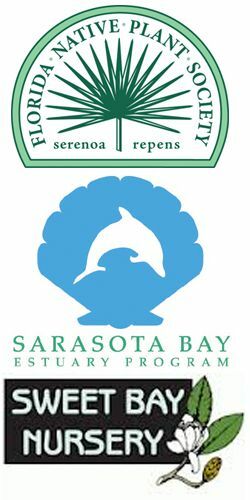 There will also be information available from local nature groups including Manatee Audubon, Sierra Club, Sarasota Bay Estuary Program and more. “These plants attract wildlife such as songbirds and butterflies, are more resistant to insects and disease than non-native plants and if planted in the right place require less maintenance making them an ideal home landscaping tool,” states Karen Fraley, of the Florida Native Plant Society. Directions: From I-75 Ellenton Exit 224 go East to Old Tampa Rd/Erie Rd. Turn left (North) onto Erie Rd travel 4 miles Sweetbay Nursery will be on your left.